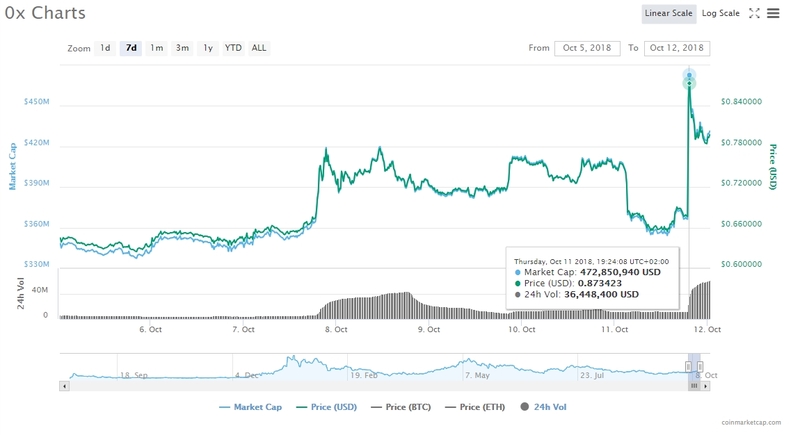 It has been just over two weeks since Ethereum World News reported on 0x ZRX and its outstanding trading, taking over the market’s concentration. Similar to the current situation, sellers had their saying over the general sentiment with few exceptions here and there [end of Sep]. One of them that is yet again standing safely above waters is the pair ZRX/USD. Per time of writing, ZRX is changing hands against the US Dollar at $0.8107 with 7.96% gain in the last 24-hours. This bring 0x to the 23rd level by market capitalization. Very unpredictable, in a matter of minutes its value jumped upwards from floating just above the weekly major $0.6600 to $0.8734. By going to the view all tab in CoinmarketCap’s web-page you can easily tell who is welcoming the last 7-days the most. The pair ZRX/USD has climbed for 23.99%, followed by the Maker MKR/USD at 21.77%, very in contrary to other leading coins as they are experiencing double digit losses. 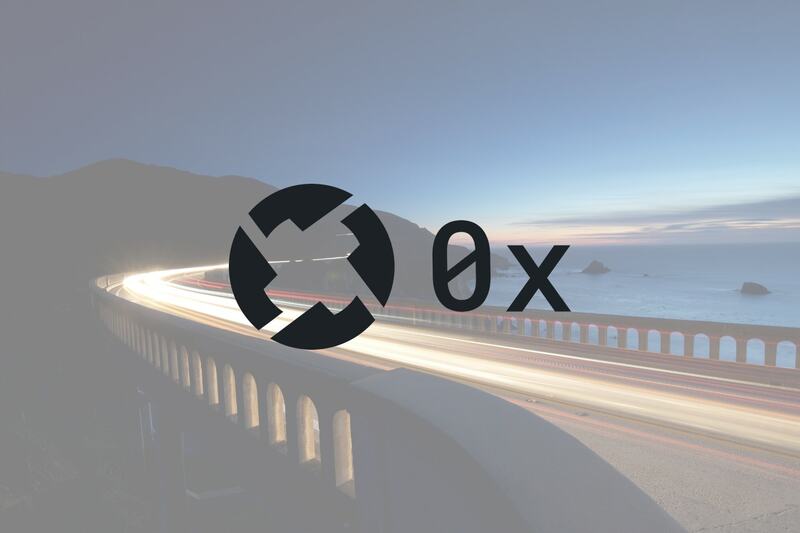 – 0x is a protocol that promotes low friction peer-to-peer exchange of ERC20 tokens on the Ethereum blockchain. The protocol is designed to serve as an open standard and basic building block, running interoperability among decentralized applications (DApps) that include exchange functionality. The 0x coin is an ERC20 token, and over 500 different cryptocurrencies have issued this class of token. Essentially, ERC20 tokens are Ethereum’s solution for making a cryptocurrency quickly and easily. – Maker – Implemented on the second largest blockchain Ethereum (ETH) network while depended on the concept of smart contracts, Maker [native token MKR] is a case when the much criticized crypo-volatility is overcome to an extend being backed by Ether.